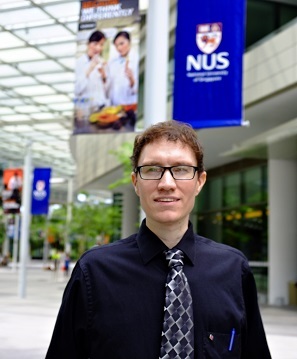 This is the website of the Optical Device Research Group at the National University of Singapore managed by Aaron Danner, an Associate Professor in the Electrical Engineering Department. This site was last updated August 21, 2018. 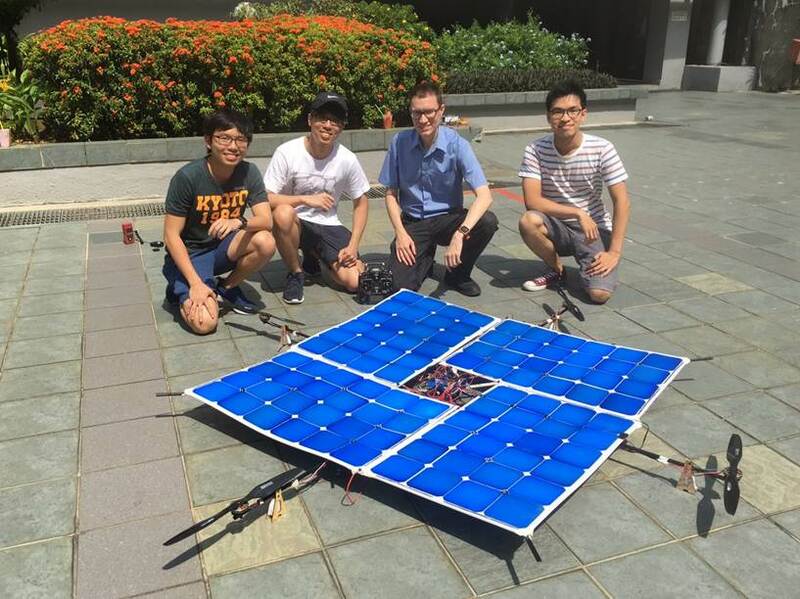 NEWS UPDATE (2018) With 148 silicon solar cells, the NUS Solar Helicopter Team announces that 100% solar-powered flight has been achieved in a quadcopter! 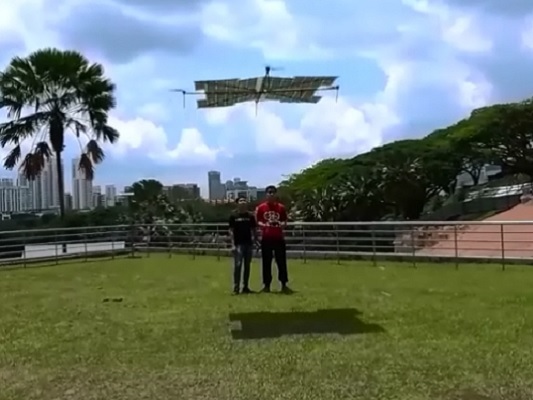 The maiden flight occurred on April 4, 2018 in Singapore. The aircraft can fly out of the ground effect, with full controllability (by remote control), under natural sunlight. In the flight pictured, the aircraft had NO BATTERY ON BOARD. This achievement was independently witnessed by the media and news reporters on August 21, 2018, verifying the 100% solar claim. Video of our April 17, 2018 test flight is available for download. In the photo [L to R] are Aaron Danner, undergraduate students Yeo Jun Han, Kuan Jun Ren, Goh Chong Swee, and instructor Brian Shohei Teo. We will make other test flight videos available soon. If you are from the news media and you wish to witness a test flight and see for yourself that the aircraft has no battery on board during flight, please contact Mr. Goh Yu Chong at the NUS press office and this can be arranged. NEWS UPDATE (2016) We have reached 96 cells in the solar quadcopter. Efficiency scales with size; we are almost there! 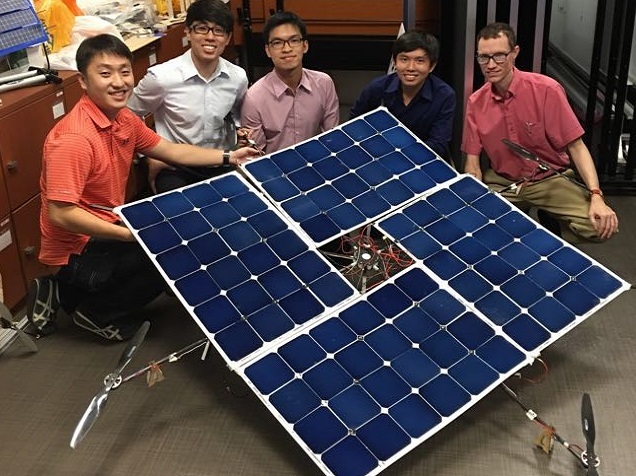 NEWS UPDATE (2015) The NUS Solar Helicopter Team, an undergraduate student project within the ECE department mentored by Prof. Danner, announces record-setting solar copter efficiency. With 48 solar cells, 130 cm X 130 cm areal size, and a 1.53 kg total aircraft weight, the prototype pictured achieved 61% efficiency in flight (61% solar, 39% battery). Although fully solar-powered (winged) planes were demonstrated years ago by various groups around the world, helicopters require significantly more power to lift their own weight, and a fully flyable solar powered helicopter has not yet been demonstrated that can hover out of the ground effect. 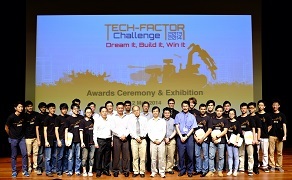 NEWS UPDATE (2014) Prof. Aaron Danner supervised 3 undergraduate teams from NUS participating in the Tech-Factor Challenge sponsored by ST Eletronics. The students worked tirelessly on their projects from August 2013 to May 2014 when they presented their final solar robot prototypes in front of judges. All 3 teams came home with awards. Our group is interested in the future of optics and photonics, especially materials and structures that can enhance light-matter interaction, in order to target applications in optical communications, arbitrary optical wavefront generation and detection, quantum information processing, and holography. 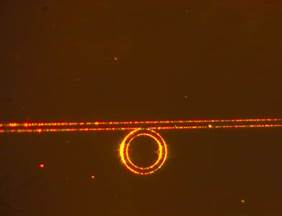 We are interested in fabrication with nonlinear optical materials and devices, and our group is actively engaged in industrially-relevant research in vertical cavity lasers, laser development for light/heat delivery in magnetic data storage applications, solar cells, and nonlinear optical materials useful for long distance optical fiber communications and on-chip quantum optics with lithium niobate-on-insulator. Materials such as lithium niobate are traditionally rather difficult to work with in terms of practical fabrication challenges, but overcoming some of these challenges would permit photonics-lab-on-chip applications, quantum-optics-on-chip applications, and allow miniaturization of traditionally large external optical modulators. This will be necessary not only for future optical datacom applications, but also for quantum optics applications where programmatic control of single photons will ultimately be required. 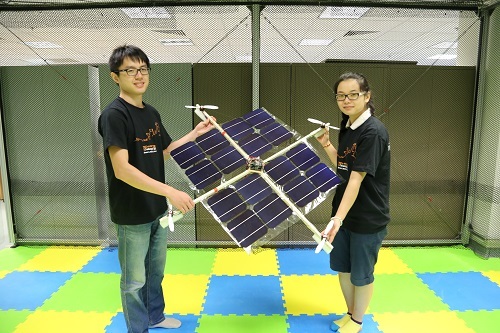 Our group also hosts the undergraduate student NUS Solar Powered Helicopter Team. Lithium niobate is a type of optical material where the refractive index is variable with the applied electric field. This non-linear optical interaction is unfortunately not available in silicon or other commonly used semiconductor materials, but is highly useful for many optics applications, such as creating high speed optical modulators. Lithium niobate devices form core functionality of transoceanic fibre optical networks, enable very high speed electrical-optical signal conversion, and can be used in sensitive detectors to permit construction of sensors impossible with other materials, as they are the only lossless path to material-photon mediation. They are also used in optical frequency doubling applications, and to construct single photon emitters (through parametric downconversion). Commercial lithium niobate modulators currently cost about EUR €5,000 per device, a large sum for a discrete device in an era of large scale integration; such devices have resisted integration and miniaturization due to the large chip area needed to reduce waveguide bending losses in traditional fabrication methods. In fact, this high cost is indicative of practically all optical devices making use of the first order optical nonlinearity. Our group studies two key challenges associated with the cost of such integration – fabrication of low loss structures such as waveguides in lithium niobate and associated device structures, and reducing the presently prohibitive cost of crystal ion sliced wafers in this material system. We have developed a process where lithium niobate can be etched with an undercut in a monolithic process to create vertical index confinement, a difficult feat in a material that is so difficult even to dry etch, and we also work with lithium-niobate-on-insulater substrates developed in collaboration with an industrial partner. We are currently in the process of applying this method to create nonlinear optical devices on-chip; our group currently (2017) has the lowest published propagation loss (< 0.5 dB/cm) ever reported for etched waveguides. Many of our fabrication methods can be used in other systems, such as barium titanate, which we are also exploring. INTEGRATED OPTICS ON LITHIUM NIOBATE (2014-2016) These images show various on-chip devices that our group has created in lithium niobate. 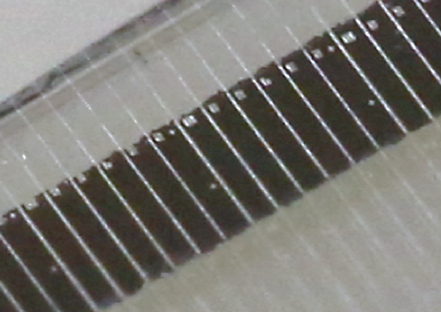 From left to right: ridge waveguides, a ring resonator (lithium-niobate-on-insulator), a racetrack resonator (lithium-niobate-on-insulator), and a (monolithically fabricated) suspended lithium niobate slab of optically important dimensions. It is an easy problem to start with a lens, and then predict how light will move through the lens, even if the lens is complicated (with a gradient index of refraction, for example). However, the inverse problem is much more difficult - to start by saying "I want a lens that can do X" and then to design the lens that generates the requested behavior. For example, let's take a single basic request and see how complicated the situation can become: "Create a lens where all light ray paths are closed." This is difficult! The well-known Principles of Optics textbook by Max Born and Emil Wolf mentions only two such lens examples. (These are now known as "absolute optical instruments" because they region entire regions of space stigmatically.) In 2017 along with our Czech colleagues at Masaryk University, we determined how to design such lenses a priori through separation of the Hamilton-Jacobi equation; there are in fact infinitely many such lenses. These are very interesting theoretically, because there are some interesting deep relationships between ray optics and wave optics that assert themselves in these lenses. A related problem in classical mechanics is analagous, with some important caveats: "What are all the potentials that can result in closed particle orbits?" The famous Bertrand Theorem says that there are only two, the harmonic oscillator, and the Newtonian potential. 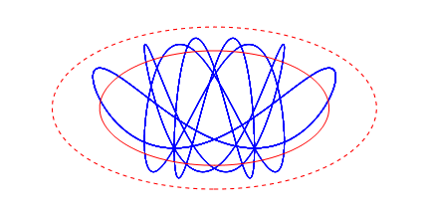 This explains the stability of orbits (in astronomy), the stability of atomic orbits (the Coulomb interaction), and these potentials happen to be spherically symmetric. But are there other stable potentials outside the Bertrand Theorem? Yes, there are infinitely many, if spherical symmetry is not required, and is also related to separability of the Hamilton-Jacobi equation although in a much more restrictive way than in the optical case. One such example is shown in the image. While our group is primarily interested in unusual theoretical optics problems, we enjoy exploring interesting physics problems in general. We are now pursuing some interesting theoretical topics in imaging. INTERSTING THEORETICAL OPTICS PROBLEMS In the left image is a gradient-index lens where all light rays follow curved, closed paths. This is an example of an absolute optical instrument. The frequency spectrum is also completely degenerate, which is a related property that our group has proven. In the right image, we introduce the concept of "force tracing", to show how radiation pressure is distributed throughout a graded index object. Traditionally, radiation pressure distribution has been very time-consuming and troublesome to calculate because of the difficulty in solving the Maxwell stress tensor. 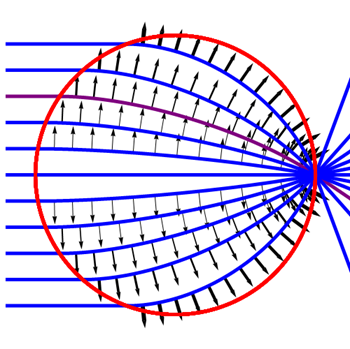 The "force tracing" technique is orders of magnitude faster computationally, and is analagous, in some sense, to the use of geometrical optics to approximate wave optics. 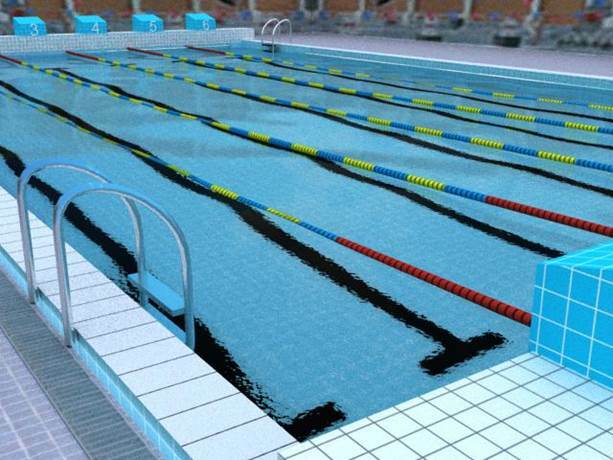 FUN OPTICS SIMULATIONS Have you ever wondered what a swimming pool full of negative index water would look like? Here we have side-by-side simulations! 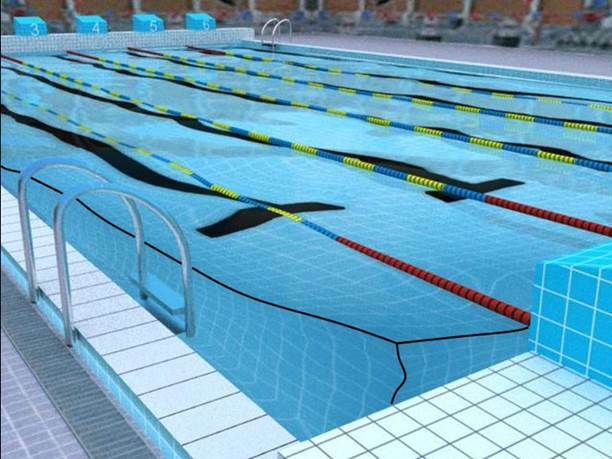 In the negative (n = -1.33) index case, the bottom surface of the pool would appear to be floating above the water's surface. We aim to enhance the collection efficiency of solar cells through surface texturing while simultaneously making the surface anti-dust. This is possible because texturing can simulateously alter the surface energy, making a surface either hydrophobic or hydrophilic, and can also alter a surface optically. 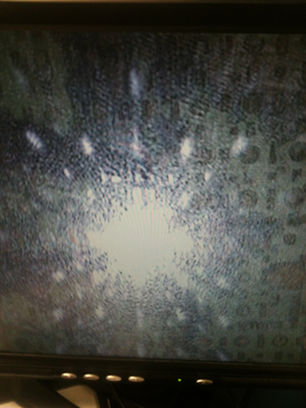 Our group developed a non-lithographic method to create pseudo-random nanostructures on the glass surface. It was observed that the nano-patterning improved transmission of planar glass for a wide 120-degree range of incidence angles. Improvement of 1% in (absolute) power conversion efficiency was also observed in solar modules packaged with the glass. After 3 months of outdoor testing, the difference was even greater due to the anti-dust property (2% reduction in efficiency for standard modules versus only 0.3% for modules with the nano-patterned glass). Thus, antireflective and self-cleaning glass can show significant improvement in efficiency of fixed-mount solar module installations, and may play a greater role in future photovoltaic applications. SOLAR CELL GLASS Glass texturing can improve solar cell cleanliness and efficiency. Modules were tested on top of the Engineering (EA) building at NUS. Our group is fabricating and characterizing high power densely-packed arrays of VCSELs for applications which require a very fast rise time and extremely high brightness. We have also recently explored the feasibility of employing VCSELs as the light source in next-generation Heat Assisted Magnetic Recording (HAMR). 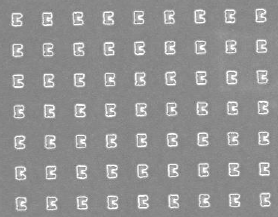 NANO-SCALE APERTURES FOR HEAT-ASSISTED MAGNETIC RECORDING Because the aperture needed for light delivery is much smaller than the working wavelength (~50 nm versus 850 nm), a circular aperture is no longer the optimal shape. Our group has studied various aperture shapes and optimized the design, along with VCSELs that could potentially be used to replace edge emitters in such a light delivery system. The left image shows one of our lasing VCSELs. The middle image shows an array of test aperatures. The right picture shows our groups pump-probe setup, to test writing of magnetic bits while under laser illumination. Photonic crystals, and other periodic structures can be modeled in frequency space using the planewave expansion method. Prof. Danner's tutorial on the plane wave expansion method may prove useful to students interested in learning how photonic crystal band diagrams can be calculated from first principles. While commercial and free tools are available to calculate bands of photonic crystals, a similar method can be used to model electronic bands in semiconductors. A step-by-step description of the pseudopotential method may be useful for students trying to learn the method. The link also includes a downloadable Mathematica file that implements the method. For students interesting in getting started, the following reading material in sequence is recommended (with a basic knowledge of electromagnetic fields assumed). Photonic Crystals: Molding the Flow of Light (ISBN: 0691037442), by John D. Joannopoulos, Robert D. Meade, and Joshua N. Winn., Princeton University Press, 2005. Silicon Photonics: the state of the art (ISBN: 0470025794), by Graham T. Reed, Wiley-Interscience, 2008. J. B. Pendry, D. Schurig, and D. R. Smith, “Controlling Electromagnetic Fields,” Science, vol. 312, no. 5781, pp. 1780 – 1782, 2006. M. Notomi, “Theory of light propagation in strongly modulated photonic crystals: Refractionlike behavior in the vicinity of the photonic band gap,” Phys. Rev. B, vol. 62, no. 16, pp. 10696 – 10705, 2000. Geometry and Light: The Science of Invisibility (ISBN: 978-0486476933), by Ulf Leonhardt and Thomas Philbin, Dover, 2010. Minds, Machines, and the Multiverse: The Quest for the Quantum Computer (ISBN: 0684814811), by Julian Brown, Simon & Schuster, 2000.
e: The Story of a Number (ISBN: 0691058547), by Eli Maor, Princeton University Press, 1998. Early Astronomy (ISBN: 0387948228), by Hugh Thurston, Springer, 1994. POV-Ray, an open-source ray tracing program that can create photorealistic images of complex scenes. It is capable of handling negative-index materials. Tomas Tyc and Aaron J. Danner, "Absolute optical instruments, classical superintegrability, and separability of the Hamilton-Jacobi equation," Phys. Rev. A, vol. 96, 053838, 2017. 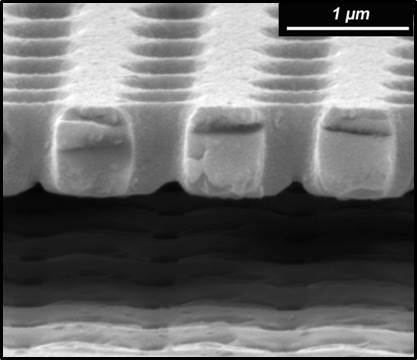 Gurleen Kaur, Neeraj Dwivedi, Xin Zheng, Baochen Liao, Ling Z Peng, Aaron Danner, Rolf Stangl, Charanjit S Bhatia, "Understanding Surface Treatment and ALD AlOx Thickness Induced Surface Passivation Quality of c-Si Cz Wafers," IEEE Journal of Photovoltaics, 7 (5), 1224-1235, 2017. Shengtao Mei, Muhammad Qasim Mehmood, Sajid Hussain, Kun Huang, Xiaohui Ling, Shawn Yohanes Siew, Hong Liu, Jinghua Teng, Aaron Danner, Cheng‐Wei Qiu, "Flat helical nanosieves," Advanced Functional Materials, 26 (29), pp. 5255-5262, Aug. 1, 2016. P Tung, K Hoo, J Huang, A Danner, "Periodic Two-Dimensional GaAs and InGaAs Quantum Rings Grown on GaAs (001) by Droplet Epitaxy," Journal of Nanoscience and Nanotechnology 16 (6), 6465-6469, 2016. WK Phua, Y Akimov, L Wu, HS Chu, P Bai, A Danner, "Highly efficient tunable and localized on-chip electrical plasmon source using protruded metal-insulator-metal structure," Optics Express 24 (10), 10663-10674, 2016. Shengtao Mei, Muhammad Qasim Mehmood, Sajid Hussain, Kun Huang, Xiaohui Ling, Shawn Yohanes Siew, Hong Liu, Jinghua Teng, Aaron Danner, Cheng‐Wei Qiu, "Flat Helical Nanosieves," Advanced Functional Materials, 2016. SY Siew, SS Saha, M Tsang, AJ Danner, "Rib microring resonators in lithium niobate on insulator," IEEE Photonics Technology Letters 28 (5), 573-576, 2016. M. Q. Mehmood, Shengtao Mei, Sajid Hussain, Kun Huang, S. Y. Siew, Lei Zhang, Tianhang Zhang, Xiaohui Ling, Hong Liu, Jinghua Teng, Aaron Danner, Shuang Zhang, and Cheng-Wei Qiu, “Visible-frequency Metasurface for Structuring and Spatially Multiplexing Optical Vortices” Adv. Mater. (2016). T Tyc, HL Dao, AJ Danner, "Absolute optical instruments without spherical symmetry," Physical Review A 92 (5), 053827, (2015). A Akbarzadeh, JA Crosse, M Danesh, CW Qiu, AJ Danner, CM Soukoulis, "Interplay of optical force and ray-optic behavior between Luneburg lenses," ACS Photonics 2 (9), 1384-1390, (2015). Maetee Kunrugsa, Kar Hoo Patrick Tung, Aaron James Danner, Somsak Panyakeow, Somchai Ratanathammaphan, "Fabrication of GaSb quantum rings on GaAs (001) by droplet epitaxy," Journal of Crystal Growth, Journal of Crystal Growth 425, 287-290, (2015). S Hussain, CS Bhatia, H Yang, AJ Danner, "Characterization of C-apertures in a successful demonstration of heat-assisted magnetic recording," Optics letters 40 (15), 3444-3447, (2015). Z Tang, W Yi, J Pan, Y Zou, S Wen, A Danner, C Qiu, "Physical mechanisms for tuning the nonlinear effects in photonic crystals," Optics express 23 (15), 19885-19890, (2015). Z Tang, L Zhao, Z Sui, Y Zou, S Wen, A Danner, C Qiu, "Switchable self-defocusing and focusing in nearly isotropic photonic crystals via enhanced inverse diffraction," Physical Review A 91 (6), 063824, (2015). Shengtao Mei, Kun Huang, Hong Liu, Fei Qin, M. Q. Mehmood, Zhengji Xu, Minghui Hong, Daohua Zhang, Jinghua Teng, Aaron Danner, and Cheng-Wei Qiu, “On-chip Discrimination of Orbital Angular Momentum of Light with Plasmonic Nanoslits” Nanoscale, 8 (4), pp. 2227-2233, 2016. 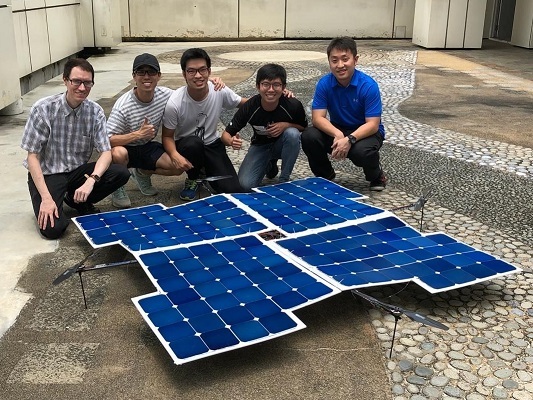 M Sakhuja, J Son, H Yang, CS Bhatia, AJ Danner, "Outdoor performance and durability testing of antireflecting and self-cleaning glass for photovoltaic applications," Solar Energy 110, 231-238, (2014). T Tyc, H Chen, A Danner, Y Xu, "Invisible lenses with positive isotropic refractive index," Physical Review A 90 (5), 053829, (2014). Jian Huang, Kar Hoo Patrick Tung, Jie Tang, Hongfei Liu, Ning Xiang, Aaron J. Danner*, and Jinghua Teng*, “Effect of SiO2-Metal-SiO2 Plasmonic Structures on InGaAs/GaAs Quantum Well Intermixing,” Applied Physics A, 117(2), 517-521 (2014). B Xi, X Chu, J Hu, CS Bhatia, AJ Danner, H Yang, "Preparation of Ag/TiO 2/SiO 2 films via photo-assisted deposition and adsorptive self-assembly for catalytic bactericidal application," Applied Surface Science 311, 582-592, (2014). T Tyc, A Danner, "Resolution of Maxwell's fisheye with an optimal active drain," New Journal of Physics 16 (6), 063001, (2014). Mehmood, M. Q., Cheng-Wei Qiu, Aaron Danner, and Jinghua Teng, “Generation of optical vortex beams by compact structures.” J. Mol. Eng. Mater. 02, 1440013 (2014). A. Akbarzadeh, M. Danesh, C. Qiu, and A. J. Danner, "Tracing optical force fields within graded-index media," [FULL TEXT] New Journal of Physics, Vol. 16, May 2014. S. Hussain, C. S. Bhatia, H. Yang and A. J. Danner, "Effect of FePt on resonant behavior of a near field transducer for high areal density Heat Assisted Magnetic Recording (HAMR)", App. Phys. Lett., 104, 111107, (2014). Mehmood, M. Q., Hong Liu, Kun Huang, Mei Shengtao, Aaron Danner, Boris Luk’yanchuk, Shuang Zhang, Jinghua Teng, Stefan A. Maier, and Cheng-Wei Qiu, “Broadband Spin-Controlled Focusing via Logarithmic-spiral Nanoslits of Varying Width” Laser Photonics Rev. 00, No. 0, 1-8 (2015). Hong Liu†, Mehmood, M. Q.,†, Kun Huang, Lin Ke, Huapeng Ye, Patrice Genevet, Mingsheng Zhang, Aaron Danner, Swee Ping Yeo, Cheng-Wei Qiu, and Jinghua Teng, “Twisted Focusing of Optical Vortices with Broadband Flat Spiral Zone Plates.” Adv. Optical Mater. 2, 1193–1198 (2014).†=Equal Contribution. J. Son, M Sakhuja, A.J. Danner, C.S. Bhatia and H. Yang, “Large scale antireflective glass texturing using grid contacts in anodization methods”, Solar Energy Materials and Solar Cells, Vol. 116, 09-13, 2013. A. Akbarzadeh, A. J. Danner, C. Qiu, "Exploiting design freedom in biaxial dielectrics to enable spatially overlapping optical instruments," [FULL TEXT] Scientific Report, No. 3, p. 2055, 2013. J. Deng, S. Hussain, V. S. Kumar, W. Jia, C. E. Peng, T. S. Lim, A. A. Bettiol, A. J. Danner, "Modeling and experimental investigations of Fano resonances in free-standing LiNbO3 photonic crystal slabs," [FULL TEXT] Optics Express, Vol. 21, Issue 3, p. 3243-3252, 2013. CY Huang, L Lou, AJ Danner, C Lee, "Transparent force sensing arrays with low power consumption using liquid crystal arrays," Sensors and Actuators A: Physical 190, 136-140, (2013). H Tanoto, JH Teng, QY Wu, M Sun, ZN Chen, SA Maier, B Wang, CC Chum, GY Si, AJ Danner, SJ Chua, "Nano-antenna in a photoconductive photomixer for highly efficient continuous wave terahertz emission," Scientific Reports, 2013. G. Si, Y. Zhao, J. Lv, M. Lu, F. Wang, H. Liu, N. Xiang, T. J. Huang, A. J. Danner, J. Teng, and Y. J. Liu, "Reflective plasmonic color filters based on lithographically patterned silver nanorod arrays," [FULL TEXT] Nanoscale, Vol. 5, No. 14, 2013. J. Huang, K. H. P. Tung, L. Deng, N. Xiang, J. Dong, A. J. Danner, and J. Teng, "Surface plasmon enchanced photoluminescence in gold capped InGaAs quantum well nanodisk array," [FULL TEXT] Optical Materials Express, Vol. 3, Issue 3, P. 2003-2011, 2013. Ho, C. P., B. Li, A. J. Danner, and C. Lee, "Design and modeling of 2-D photonic crystals based hexagonal triple-nano-ring resonators as biosensors." Microsystem technologies 19 (1), 53-60, (2013). C. Huang, L. Lou, A. J. Danner and C. Lee, "Transparent force sensing arrays with low power consumption using liquid crystal arrays," Sensor and Actuators A: Physical, Vol. 190, No. 1, P. 136-140, 2012. Jia, W., J. Deng, H. Wu, B. P. L. Reid, X. Wang, C. C. S. Chan, R. A. Taylor, X. Y. Li, and A. J. Danner, "Design and fabrication of optical filters with very large stopband (>500 nm) and small passband (1 nm) in silicon-on-insulator," Photonics and Nanostructures, Vol. 10, No. 4, 2012. Koh, K. H., B. W. Soon, J. M. Tsai, A. J. Danner, and C. Lee, "Study of Hybrid-Driven Micromirrors for 3-D Variable Optical Attenuator (VOA) Applications," [FULL TEXT] Optics Express, Vol. 20, No. 19, 2012. M. Sakhuja, J. Son, L.K. Verma, H. Yang, C.S. Bhatia and A.J. Danner, "Omnidirectional Study of Nanostructured Glass Packaging for Solar Modules", Progress in Photovoltaics: Research and Applications, 22, 3, 356-361 (2012). Liang, G. Q., A. J. Danner, and C. Lee, "Design of curved photonic cavities for a narrow-band widely tunable resonance ranging 200 nm," [FULL TEXT] Optics Express, Vol. 20, No. 17, 2012. Tyc, T. and A. J. Danner, "Frequency spectra of absolute optical instruments," [FULL TEXT] New Journal of Physics, 14, No. 8, 2012. Liu, Y. J., G. Y. Si, E. S. P. Leong, N. Xiang, A. J. Danner, and J. H. Teng, "Light-driven plasmonic color filters by overlaying photoresponsive liquid crystals on gold annular aperture arrays," Advanced Materials, 24, No. 23, 2012. Lee Qing Xian, Stephen Wittkopf, Aaron Danner, Yang Xiaoming, and Ouyang Jieer, "Using modeled and measured BSDF data in Radiance - A qualitative and quantitave comparison," Solar Energy Materials and Solar Cells, 98, 2012. Y. J. Liu, G. Y. Si, E. S. P. Leong, B. Wang, A. J. Danner, X. C. Yuan and J. H. Teng, "Optically tunable plasmonic color filters," Invited Paper, [FULL TEXT] Applied Physics A, 107, No. 1, 49-54, 2012. Deng, J., W. Jia, C. E. Png, G. Y. Si, J. S. Son, H. Yang, and A. J. Danner, "Deep anisotropic LiNbO3 etching with SF6/Ar inductively coupled plasmas," J. Vac. Sci. Technol. B, vol. 30, no. 1, p. 011208 (6 pages), 2012. G. Q. Liang, C. Lee, and A. J. Danner, "Design of Narrow band photonic filter with compact MEMS for tunable resonant wavelength ranging 100 nm," [FULL TEXT] AIP Advances, Vol. 1, no. 4, 042171, 2011. Also selected to appear in the Virtual Journal of Nanoscale Science & Technology, Vol. 25, No. 1, 2012 (Micro and Nano Electromechanical Systems). Tanoto, H., J. H. Teng, Q. Y. Wu, M. Sun, Z. N. Chen, S. A. Maier, B. Wang, C. C. Chum, G. Y. Si, A. J. Danner, and S. J. Chua, "Greatly enhanced continuous-wave terahertz emission by nano-electrodes in a photoconductive photomixer", Nature Photonics, 6, 121-126, 2012. Retracted 08 March 2013. A. J. Danner, T. Tyc, and U. Leonhardt, "Controlling birefringence in dielectrics," Nature Photonics, vol. 5, no. 6, pp. 357-359, 2011. Popular press article published: A. J. Danner, "Gradient Birefringent Lenses: A New Degree of Freedom in Optics," [FULL TEXT] www.2physics.com, Nov. 6, 2011. Chengwei Qiu, Alireza Akhbarzadeh, Tiancheng Han, and Aaron Danner, "Photorealistic Rendering of a Graded Negative-Index Metamaterial Magnifier,"[FULL TEXT] New Journal of Physics, vol. 14, article 033024, 2012. Wei Jia, Jun Deng, Hong Wu, Xiangyin Li, and Aaron J. Danner, "Design and fabrication of high-efficiency photonic crystal power beam splitters," Optics Letters, vol. 36, no. 20, pp. 4077-4079, 2011. Wei Jia, Jun Deng, M. S. Ajeesh, Hong Wu, Jiang Liyong, Li Xiangyin, C. S. Bhatia, H. Yang, and A. J. Danner, "Design and fabrication of high efficiency power coupler between different photonic crystal waveguides," Applied Physics Letters, vol. 98, no. 24, 2011. Bing Wang, Ah Bian Chew, Jinghua Teng, Guangyuan Si, and Aaron J. Danner, "Subwavelength lithography by waveguide mode interference," Applied Physics Letters, vol. 99, no. 15, pp. 151106-1 to 151106-3, 2011. Y. J. Liu, G. Y. Si, Eunice S. P. Leong, N. Xiang, A. J. Danner, and J. H. Teng, "Light-Driven Plasmonic Color Filters by Overlaying Photoresponsive Liquid Crystals on Gold Annular Aperture Arrays," Advanced Materials, 24, No. 23, 2012. Kent D. Choquette, Dominic Siriani, Ansas Kasten, Meng Peun Tan, Joshua Sulkin, Paul Leisher, James Raftery, and Aaron Danner, "Single mode photonic crystal vertical cavity surface emitting lasers," [FULL TEXT] Advances in Optical Technologies, vol. 2012, Article ID 280920, 8 pages, Hindawi, 2012. Jaesung Son, Shreya Kundu, Lalit K. Verma, Mridul Sakhuja, Aaron J. Danner, Charanjit S. Bhatia, and Hyunsoo Yang, "A practical superhydrophilic self cleaning and antireflective surface for outdoor photovoltaic applications," Solar Energy Materials and Solar Cells, vol. 98, pp. 46-51, March 2012. Xi Baojuan, Verma Lalit Kumar, Jing Li, Charanjit Singh Bhatia, Hyunsoo Yang, Aaron Danner, Hua Chun Zeng, “TiO2 thin films prepared via adsorptive self-assembly for self-cleaning omnidirectional solar cells,” ACS Applied Materials & Interfaces, 4, No. 2, 1093-1102, 2012. L. K. Verma, M. Sakhuja, J. Son, A. J. Danner, H. Yang, H. C. Zeng, and C. S. Bhatia, “Self-cleaning and antireflective packaging glass for solar modules,” Renewable Energy, vol. 36, no. 9, pp. 2489 - 2493, September 2011. Guangyuan Si, Aaron J. Danner, Siew Lang Teo, Ee Jin Teo, Jinghua Teng, and Andrew A. Bettiol, “Photonic crystal structures with ultrahigh aspect ratio in lithium niobate fabricated by focused ion beam milling,” J. Vac. Sci. Techno. B, vol. 29, no. 2, pp. 021205 - 021209, Mar/Apr 2011. Maoqing Xin, Ching Eng Png, and Aaron J. Danner, “Breakdown delay-based depletion mode silicon modulator with photonic hybrid-lattice resonator,” [FULL TEXT] Optics Express, vol. 19, no. 6, pp. 5063 - 5076, 2011. Jaesung Son, Lalit Kumar Verma, Aaron James Danner, Charanjit Singh Bhatia, and Hyunsoo Yang, “Enhancement of optical transmission with random nanohole structures,” [FULL TEXT] Optics Express, vol. 19, no. S1, pp. A35 - A40, 2011. A. Akbarzadeh and A. J. Danner, “Generalization of ray tracing in a linear inhomogeneous anisotropic medium: a coordinate-free approach,” J. Opt. Soc. Am. A, vol. 27, no. 12, pp. 2558 - 2562, 2010. M. Q. Xin, C. E. Png, S. T. Lim, V. Dixit, and A. J. Danner “High speed electro-optic phase shifter based on a lateral P-G-N diode capacitor,” [FULL TEXT] Optics Express, vol. 19, no. 15, pp. 14354 - 14369, 2011. Winner of 2010 IEEE Region 10 (Asia Pacific) Student Paper Contest. A. J. Danner, “Singularity removal in optical instruments without reflections or induced birefringence,” [FULL TEXT] New J. of Physics, vol. 12, 113008, 8 pages, November 2010. S. T. Lim, C. E. Png, and A. J. Danner, “Embedded air core optical nano-waveguides,” [FULL TEXT] J. Opt. Soc. Am. B, vol. 27, no. 10, pp. 1937 - 1941, October 2010. Also selected to appear in the Virtual Journal of Nanoscale Science & Technology, vol. 22, no. 18, 2010. L. Zhang, M. Q. Xin, J. H. Teng, and S. J. Chua, “Photonic band structure of nanoporous anodized aluminum oxide with radius-to-period ratio modulation,” Comput. Mater. Sci., vol. 49, no. 1, S153-S156, July 2010. G. Y. Si, A. J. Danner, J. H. Teng, S. S. Ang, A. B. Chew, E. Dogheche, “Nanoscale arrays in lithium niobate fabricated by interference lithography and dry etching,” International J. of Nanoscience, vol. 9, no. 4, pp. 311-315, August 2010. M. Xin, L. Zhang, C. E. Png, J. H. Teng, and A. J. Danner, “Asymmetric open cavities for beam steering and switching from line-defect photonic crystals,” J. Opt. Soc. Am. B, vol. 27, no. 6, pp. 1153 - 1157, June 2010. H. Liu, B. Wang, E. S. P. Leong, P. Yang, Y. Zong, G. Si, J. Teng, and S. A. Maier, “Enhanced surface plasmon resonance on a smooth silver film with a seed growth layer,” ACSNano, vol. 4, no. 6, pp. 3139 - 3146, June 2010. G. Si, E. J. Teo, A. A. Bettiol, J. Teng, and A. J. Danner, “Suspended slab and photonic crystal waveguides in lithium niobate,” J. Vac. Sci. Techno. B, vol. 28, no. 2, pp. 316 - 320, Mar/Apr 2010. A. J. Danner, “Visualizing invisibility: Metamaterials-based optical devices in natural environments,” [FULL TEXT] Optics Express, vol. 18, no. 4, pp. 3332 - 3337, 2010. M. Xin, A. J. Danner, C. E. Png, S. T. Lim, “Resonator-based silicon electro-optic modulator with low power consumption,” Jap. J. of Appl. Phys., vol. 48, pp. 04C104-1 - 04C104-5, 2009. M. Xin, A. J. Danner, C. E. Png, and S. T. Lim, “Theoretical study of a cross-waveguide resonator-based silicon electro-optic modulator with low power consumption,” J. Opt. Soc. Am. B, vol. 26, no. 11, pp. 2176 - 2180, 2009. D. F. Siriani, M. P. Tan, A. M. Kasten, A. C. L. Harren, P. O. Leisher, J. D. Sulkin, J. J. Raftery, Jr., A. J. Danner, A. V. Giannopoulos, and K. D. Choquette, “Mode control in photonic crystal vertical-cavity surface-emitting lasers and coherent arrays,” IEEE J. of Sel. Topics in Quant. Elect., vol. 15, no. 3, 909, 2009. A. J. Danner, "Photorealistic ray tracing aids understanding of metamaterials," [FULL TEXT] SPIE Newsroom, March 12, 2009. A. J. Danner, S. J. Chua, B. Z. Wong, and J. K. Hwang, “Fabrication of efficient light-emitting diodes with a self-assembled photonic crystal array of polystyrene nanoparticles,” IEEE Photon. Tech. Lett., vol. 20, no. 1, 2008. C. E. Png, G. H. Park, S. T. Lim, E. P. Li, A. J. Danner, K. Ogawa, and Y. T. Tan, “Electrically controlled silicon-based photonic crystal chromatic dispersion compensator with ultralow power consumption,” Appl. Phys. Lett., vol. 93, no. 1, pp. 061111 – 061113, 2008. C. S. Bhatia, E. R. Yazdi, S. K. Sinha, and A. J. Danner, “Applications of DLC in magnetic recording tribology,” to appear in Encyclopedia of Tribology, ed. by Y. W. Chung, Springer, 2013. A. Danner and T. Tyc, invited talk, "Applications of superintegrability in problems of classical optics," 32nd International Colloquium on Group Theoretical Methods in Physics, session 115, 15:00-15:25, Prague, Czech Republic, Czech Technical University, 9-13 July 2018. T. Tyc and A. Danner, invited talk, "Superintegrability, the Hamilton-Jacobi equation, and absolute optical instruments" 32nd International Colloquium on Group Theoretical Methods in Physics, session 115, 15:00-15:25, Prague, Czech Republic, Czech Technical University, 9-13 July 2018. Soham Saha, Siew Shawn Yohanes, Deng Jun, Aaron Danner, Mankei Tsang, "Fabrication and characterization of optical devices on lithium niobate on insulator chips," Procedia Engineering, vol 140, 183-186, Dec. 31, 2016. Shawn Y Siew, Eric JH Cheung, Mankei Tsang, Aaron J Danner, "Integrated nonlinear optics: lithium niobate-on-insulator waveguides and resonators," SPIE OPTO, Photonics West, Moscone Convention Center, San Francisco, USA, Published in Proc. of SPIE Vol. 10106, 2017. Shawn Yohanes Siew, Eric Jun Hao Cheung*, Mankei Tsang, and Aaron James Danner, "Loss Characterization of Waveguides in Lithium Niobate on Insulator," 2016 International Conference on Optical MEMS and Nanophotonics (OMN2016), 31 July - 4 August 2016, Singapore, Mo4.3, (2016)(Oral). ST Lim, TYL Ang, CE Png, J Deng, AJ Danner, "Lithium niobate integrated photonic crystal and waveguides," SPIE OPTO, 974413-974413-7, Photonics West, Moscone Convention Center, San Francisco, USA, 2016. Alireza Akbarzadeh, J. A. Crosse, T. Koschny, A. J. Danner, C. W. Qiu, M. Kafesaki, E. N. Economou, and Costas M. Soukoulis, "Optical Manipulation in Graded-index Media", Session 3A11, 27th July 2016, META 2016 (7th International Conference on Metamaterials, Photonic Crystals and Plasmonics), Torremolinos - Malaga, 25-28 July, 2016. A. J. Danner, A. Akbarzadeh, T. Tyc, "General Design Approaches in Geometrical Optics, Graded-Index Lenses, and Tracing of Optical Force (PaperID 5153)," Invited Presentation, Session 3A11 (SP19) 14:50, 27th July 2016, META 2016 (7th International Conference on Metamaterials, Photonic Crystals and Plasmonics), Torremolinos - Malaga, 25-28 July, 2016. C. S. Bhatia, S. Hussain, A. J. Danner, et al., "Advances in Nano-aperture Optics and Ultrathin Overcoats for Heat-assisted Magnetic Recording (PaperID 4117)", Invited Presentation, Session 4A15, 10:50-11:10 am, META 2016 (7th International Conference on Metamaterials, Photonic Crystals and Plasmonics), Torremolinos - Malaga, 25-28 July, 2016. Shawn Yohanes Siew, Soham Sataparno Saha, Mankei Tsang, and Aaron Danner*, "Rib microring resonators in thin film lithium niobate," 2015 International Conference on Optical MEMS and Nanophotonics (OMN2015), 2-5 August 2015, Jerusalem, Israel (Hebrew University), Mo2.2, (2015)(Oral). Sajid Hussain, Shreya Kundu, Aaron Danner, Yang Hyunsoo, Charanjit Bhatia*, "High density heat-assisted magnetic recording (HAMR) with use of nano-aperture optics," 2015 International Conference on Optical MEMS and Nanophotonics (OMN2015), 2-5 August 2015, Jerusalem, Israel (Hebrew University), Tu2.1, (2015)(Invited Oral). Soham Saha*, Shawn Yohanes Siew, Deng Jun, Aaron Danner, and Mankei Tsang, "Fabrication and Characterization of Photonic Devices on Lithium-Niobate-on-Insulator-Chips," Symposium H: Optical Communications (OC) Symposium ICMAT15-A-3942, 28 June - 3 July, SUNTEC Convention Center, Singapore, ICMAT (2015)(Oral). Siew Shawn Yohannes*, Deng Jun, Soham Sataparno Saha, Sajid Hussain, Mankei Tsang and Aaron J. Danner, "Fabrication and Characterization of Microring Resonators in Titanium Diffused Lithium Niobate," 2014 International Conference on Optical MEMS and Nanophotonics (OMN), Glasgow, UK (2015)(Oral). Soham S. Saha*, Siew Shawn Yohannes, Deng Jun, Mankei Tsang, and Aaron J. Danner, "Photonic Devices on Lithium Niobate on Insulator Chips," Poster session presented at: Japan-Singapore International Workshop on Nanophotonics, Plasmonics and Metamaterials, Nanyang Technological Institute, Singapore (2014)(Poster). Jian Huang*, Kar Hoo Patrick Tung, Jie Tang, Hongfei Liu, Ning Xiang, Aaron J. Danner*, Jinghua Teng*, “Effect of SiO2-Metal-SiO2 Plasmonic Structures on InGaAs/GaAs Quantum Well Intermixing,” Meta 14, May 20-23, Singapore, 2014. T. Tyc and A. Danner, "Frequency Spectra of Absolute Optical Instruments," Progress in Electromagnetics (PIERS 2013) Conference, Session 3A6, March 27, 2013, in Taipei, Taiwan (2013) (Oral). S. Hussain, C. S. Bhatia, H. Yang and A. J. Danner, “Characterization of nano-apertures using Vertical-Cavity Surface-Emitting lasers”, The 5th International Conference on Metamaterials, Photonic Crystals and Plasmonics (META’14), May 20-23, Nanyang Technological University (NTU), Singapore (2014)(Oral). S. Hussain, C. S. Bhatia, H. Yang and A. J. Danner, "Fabrication and Characterization of Nano-Aperture VCSELs for 10 Tb/in2 Magnetic Storage Densities", Optical MEMS & Nanophotonics (OMN2013), Aug 18-22, Kanazawa, Japan (2013)(Oral). S. Hussain, S. Kundu, C. S. Bhatia, H. Yang and A. J. Danner, “Heat assisted magnetic recording (HAMR) with nano-aperture VCSELs for 10 Tb/in2 magnetic storage density", SPIE Photonics West (OPTO), Feb 2-7, San Francisco, USA (2013) (Oral). S. Hussain, C. S. Bhatia, H. Yang and A. J. Danner “Characterization of near field transducer for high density heat assisted magnetic recording combined with FePt recording media", Photonics Global Conference (PGC), 13-16 Dec, Singapore (2012) (Oral). Jian Huang, Jinghua Teng, Aaron Danner, Ning Xiang*, “Enhancing Light Trapping in Silicon Thin Film with a Plasmonic Back Reflecting Structure,” International Conference of Young Researchers on Advanced Materials, July 1-6, 2012, Singapore. Jian Huang, Hongwei Gao, Kar Hoo Patrick Tung, Aaron Danner*, Jinghua Teng*, Ning Xiang, “Enhanced Photoluminescence by Surface Plasmon Excitation in Gold Capped InGaAs Quantum Disk Array,” International Conference on Materials for Advanced Technologies (ICMAT), 30 June-5 July, 2013, Singapore. A. Akbarzadeh, C. Qiu, and A. J. Danner, "Force tracing versus ray tracing," International Conference on Metamaterials, Photonic Crystals and Plasmonics (META), Nanyang Technological University (NTU), Singapore, May 20-23, 2014. T. S. Lim, M. Xin, C. E. Png, V. Dixit, and A. J. Danner, "Hybrid silicon organic high speed electro-optic phase shifter," Physics and Simulation of Optoelectronic Devices XXI, Moscone Convention Center, San Francisco, USA, 2013. J. Deng, S. Hussain, S. Saha, C. E. Png, M. Tsang, and A. J. Danner, "Optical microring resonators in lithium niobate for classical and quantum microwave photonics," IEEE Conference on Optical MEMS & Nanophotonics, Kanazawa, Japan, 2013. J. Deng, V. S. Kumar, S. Hussain, H. Gao, T. S. Lim, C. E. Png, X. Ning, A. 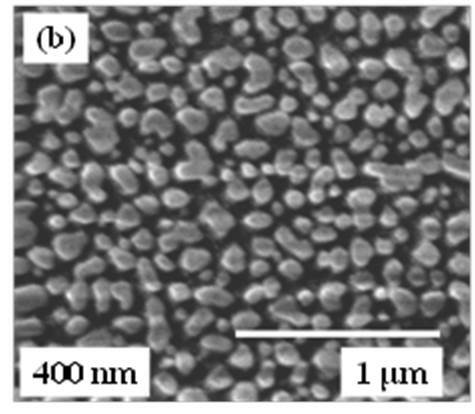 A. Bettiol, and A. J. Danner, "Free-standing monolithic LiNbO3 photonic crystal slabs," Proceedings of SPIE Photonics West 8632, Photonic and Phononic Properties of Engineered Nanostructures III, 86320H, San Francisco, USA, 2013. J. Deng, W. Jia, V. S. Kumar, C. E. Png, A. A. Bettiol, and A. J. Danner, "Photonic crystals in proton-exchanged LiNbO3 waveguides for photonic applications, " IEEE Photonics Global Conference, Singapore, 2012. M. Sakhuja, H. Yang, C.S. Bhatia, and A.J. Danner, “Antireflective and self-cleaning glass for solar modules: Investigation of outdoor performance and durability”, International Photovoltaic Science and Engineering Conference 23 (PVSEC 23), October 28 – Novermber 1, 2013, Taipei, Taiwan. (Oral presentation and conference paper). Jia, W. J. Deng, H. Wu, B. P. L. Reid, X. Wang, C. C. S. Chan, R. A. Taylor, X. Y. Li, and A. J. Danner, "Design and fabrication of optical filters with very large stopband (>500 nm) and small passband (1 nm) in silicon-on-insulator," TaCoNa-Photonics 2011, 26 October 2011. Published in Photonics and Nanostructures: Fundamentals and Applications, 10, No. 4, 2012. New York: Elsevier. M. Sakhuja, H. Yang, C.S. Bhatia, and A.J. 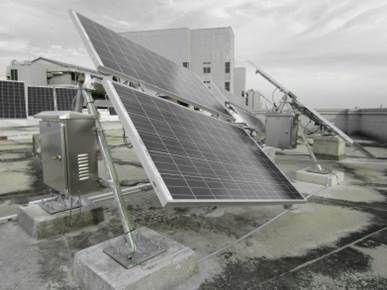 Danner, “Antireflective and self-cleaning packaging glass for solar modules”. 27th European Photovoltaic Solar Energy Conference and Exhibition (EUPVSEC), September 24-28, 2012, Frankfurt, Germany. (Best Student Paper Award). Sajid Hussain, Charanjit Singh Bhatia, Hyunsoo Yang, and Aaron Danner, "Characterization of Nano-aperture VCSELs with FePt recording Media for Tb/in2 Density Heat Assisted Magnetic Recording," ICYRAM12-A-1157, ICYRAM 2012, 1-6 July, 2012, Matrix@Biopolis, Singapore, 2012. Mridul Sakhuja, Jaesong Son, Le Hong Vu, C. S. Bhatia, Hyunsoo Yang, and Aaron Danner, "Nanopatterned and self-cleaning glass substrates for solar cell packaging," India Singapore Joint Physics Symposium (ISJPS-2012), February 20-22, 2012, Senate Hall, IIT Delhi, Hauz Khas, New Delhi 110016, Session 8, IL-28, 2012. H. Tanoto, Q. Y. Wu, M. Sun, Z. N. Chen, B. Wang, S. L. Teo, C. C. Chum, S. A. Maier, G. Y. Si, L. Y. Deng, A. J. Danner, S. J. Chua, and J. H. Teng, "Nano-antenna for greatly enhanced THz emission in a photomixer," SPIE Photonics Europe, 2012. Yan Jun Liu, Guang Yuan Si, Eunice S. P. Leong, Ning Xiang, Aaron J. Danner, and Jing Hua Teng, "Optically tunable plasmonic color filters based on photoresponsive liquied crystals and gold annular aperture arrays," ICNP 2012, Beijing, China. Bing Wang, Yanjun Liu, Guangyuan Si, Eunice Leong, Ning Xiang, Aaron Danner, and Jing Hua Teng, "Plasmonic Brillouin Scattering and Filtering," IPS12, Institute of Physics Singapore, 23 - 24 February, 2012, Faculty of Science, National University of Singapore, Singapore. Jaesung Son, Aaron J. Danner, Charanjit S. Bhatia, and Hyunsoo Yang, “Nanostructure based self-cleaning and antireflective glass surface for photovoltaic packaging applications” (poster) BIT annual world congress of Nano-S&T, Oct 23-26 2011, World EXPO center, Dalian, China. M. Sakhuja, L.K. Verma, J. Son, L. H. Vu, X. Baojuan, H.C. Zeng, H. Yang, A.J. Danner, C.S. Bhatia, "Nanopatterned and self-cleaning glass substrates for solar cell packaging," The 2nd International Conference on Control, Instrumentation, and Automation (ICCIA), Shiraz, Iran, paper 1569518603, December 27-29, 2011. U. Leonhardt, T. Tyc, and A. J. Danner, "Perfect imaging with positive refraction," 3rd International Workshop on Theoretical and Computational Nano-Photonics (Tacona-Photonics 2010), 3 - 5 Nov 2010, Physikzentrum, Bad Honnef, Germany. AIP Conference Proceedings, vol. 1291, pp. 22-24, 2010. C. E. Png, S. T. Lim, E. P. Li, and A. J. Danner, "Third order silicon (Si) nitride side-walled grating using silicon-on-insulator," 2010 Asia Communications and Photonics Conference and Exhibition (ACP 2010), 8 - 12 Dec, 2010, Shanghai Convention Center, Shanghai, China, vol. 7986. Proceedings of SPIE (2011), Art. no. 79860I. Baochen Liao et al., "Ultrafine and high aspect ratio metal lines by electron beam lithography for silicon solar cell metallisation," Energy Procedia, 15, 91-96, 2012. Alireza Akbarzadeh, Cheng-Wei Qiu, and Aaron J. Danner, "Biaxial anisotropy in gradient permittivity dielectric optical instruments," PIERS 2012, Kuala Lumpur, 2012. Alireza Akbardadeh, Tiancheng Han, Aaron J. Danner, and Cheng-Wei Qiu, "Generalization of superscatterer design and photorealistic raytracing thereof," PIERS 2012, Kuala Lumpur, 2012. Lay Theng Tan, Chee Zhen Yap, Hui Min Teng, Chan Myee Maung, Lalit Kumar Verma, Hyunsoo Yang, Charanjit Singh Bhatia, and Aaron J. Danner, “Anti-dust coatings for solar cells and the impact of dust accumulation on solar cell efficiency in singapore,” ICMAT 2011 (poster presentation), ICMAT11-A-1600 (O-PO3-16), Suntec Convention Centre, Singapore, June 26 - July 1, 2011. Hong LIU, Lin KE, Jie DENG, Chan Choy CHUM, Ming Shen ZHANG, Lu SHEN, Guang Yuan SI, Aaron DANNER, Stefan MAIER, Jinghua TENG, “A High Contrast Silver/Nickel Superlens Characterized by Photon Scanning Tunneling Microscopy,” ICMAT 2011 (oral presentation), ICMAT11-A-1641 (S3-5), Suntec Convention Centre, Singapore, June 26 - July 1, 2011. Y J LIU, Guang Yuan SI, Eunice SP LEONG, Bing WANG, Aaron DANNER, Xiaocong YUAN, Jinghua TENG, “Optically Tunable Plasmonic Color Filters,” to be presented at ICMAT 2011 (oral presentation), ICMAT11-A-3487 (S9-6), Suntec Convention Centre, Singapore, June 26 - July 1, 2011. Baojuan XI, Lalit Kumar VERMA, Hyunsoo YANG, Aaron DANNER, Charanjit Singh BHATIA, Hua Chun ZENG, “Photoassisted Synthesis of Ag Nanoparticles on Tio2 Films,” to be presented at ICMAT 2011 (oral presentation), ICMAT11-A-4144 (B5-6), Suntec Convention Centre, Singapore, June 26 - July 1, 2011. Mridul SAKHUJA, Lalit Kumar VERMA, Hyunsoo YANG, Charanjit Singh BHATIA, Aaron DANNER, “Parameter Optimization of Nanostructured Glass for Solar Cell Packaging,” to be presented at ICMAT 2011 (poster presentation), (O-PO3-48), Suntec Convention Centre, Singapore, June 26 - July 1, 2011. Jia Yun HEE, Lalit Kumar VERMA, Aaron DANNER, Hyunsoo YANG, Charanjit Singh BHATIA, “The Effect of Dust on Transmission and Self-cleaning Property of Solar Panels,” to be presented at ICMAT 2011 (poster presentation), ICMAT11-A-4688 (O-PO3-55), Suntec Convention Centre, Singapore, June 26 - July 1, 2011. Baochen LIAO, Armin ABERLE, Thomas MUELLER, Lalit Kumar VERMA, Aaron DANNER, Hyunsoo YANG, and Charanjit Singh BHATIA, “Ultrafine and High Aspect Ratio Metal Lines by Electron Beam Lithography for Silicon Solar Cell Metallization,” to be presented at ICMAT 2011 (poster presentation), (O-PO3-49), Suntec Convention Centre, Singapore, June 26 - July 1, 2011. M. Sakhuja, L. K. Verma, H. Yang, C. S. Bhatia, and A. J. Danner, "Fabrication of tilted nanostructures for omnidirectional transmission in solar modules," Proceedings of the 37th IEEE Photovoltaic Specialists Conference, 19 - 24 June 2011, Seattle, Washington, USA, pp. 000932 - 000935, 2011. 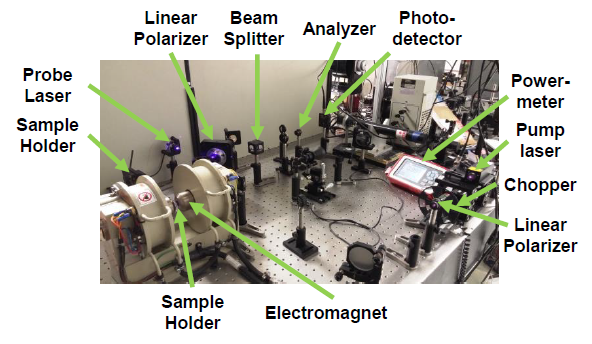 Susanne C. Kehr, Sahar Sahebdivan, Thomas Philbin, Ulf Leonhardt, Aaron J. Danner, Tomas Tyc, and Yungui Ma, “Sub-diffraction imaging in the far-field by positive index materials,” 3rd International Topical Meeting on Nanophotonics and Metamaterials (NANOMETA 2011), Seefeld Ski Resort, Tirol Austria, January 3 - 6, 2011. G. Si, E. L. S. Ping, A. J. Danner, and J. Teng, “Plasmonic coaxial Fabry-Pérot nanocavity color filter,” [7757-127] PS1, SPIE Optics + Photonics 2010, San Diego, California USA (San Diego Convention Center), August 1 - 5, 2010. Proceedings of SPIE, vol. 7757, Art. no. 77573F. M. Xin, C. E. Png, A. J. Danner, “A compact depletion mode silicon modulator based on a photonic hybrid-lattice mode-gap resonator,” presented at SPIE Photonics West (OPTO), 7943-43, San Francisco, California USA (The Moscone Center), January 22 - 27, 2010. Proceedings: Silicon Photonics VI, ed. by Joel A. Kubby, Graham T. Reed, Proc. of SPIE Vol. 7943, pp. 794318-1 - 794318-7, 2011. T. Tyc, A. Danner, and U. Leonhardt, “Perfect lenses with positive refractive index,” to be presented at Metamaterials 2010 (Fourth International Congress on Advanced Electromagnetic Materials in Microwaves and Optics, Karlsruhe Institute of Technology), Karlsruhe, Germany, September 13 - 16, 2010. S. T. Lim, J. Zhang, J. Png, and A. Danner, “High-Q 1D photonic nanocavity on ring resonators,” Photonics Global 2010, (Suntec Convention Center), Singapore, December 14 - 16, 2010. J. Deng, G. Si, and A. J. Danner, “Dry etching of LiNbO3 using inductively coupled plasma,” Photonics Global 2010, (Suntec Convention Center), Singapore, December 14 - 16, 2010. Article no. 5706006. G. Si, E. J. Teo, D. Jun, A. A. Bettiol, J. Teng, and A. J. Danner, “Improved profiles of photonic crystals in lithium niobate by truncating tapered bottoms,” Photonics Global 2010, (Suntec Convention Center), Singapore, December 14 - 16, 2010. G. Si, M. Zhang, S. L. Teo, J. Deng, J. Teng, and A. J. Danner, “Fabrication of single-layer metamaterials with sub-50-nm ultrasmall gaps,” Photonics Global 2010, (Suntec Convention Center), Singapore, December 14 - 16, 2010. Article no. 5706013. G. Si, M. Zhang, S. L. Teo, J. Deng, A. J. Danner, and J. Teng, “Tuning of surface plasmons in visible and near infrared range using plasmonic crystals,” Photonics Global 2010, (Suntec Convention Center), Singapore, December 14 - 16, 2010. Article no. 5706014. M. Sakhuja, L. Benaissa, L. K. Verma, C. S. Bhatia, A. J. Danner, and H. Yang, “EBIC characterization for direct extraction of diffusion length of semiconducting materials,” MRS-S Trilateral Conference on Advances in Nanoscience: Energy, Water and Healthcare, (IMRE), Singapore, August 11 - 13, 2010. A. Kumar, D. Z. Chi, A. J. Danner, H. Yang, and C. S. Bhatia, “Earth abundant β-FeSi2 for thin film photovoltaics,” Best Poster Award, MRS-S Trilateral Conference on Advances in Nanoscience: Energy, Water and Healthcare, (IMRE), Singapore, August 11 - 13, 2010. J. Son, L. K. Verma, A. J. Danner, C. S. Bhatia, and H. Yang, “Enhancement of optical transmission by randomly distributed nanoholes for solar cell application,” MRS-S Trilateral Conference on Advances in Nanoscience: Energy, Water and Healthcare, (IMRE), Singapore, August 11 - 13, 2010. L. K. Verma, A. Kumar, J. S. Son, C. S. Bhatia, A. Danner, and H. Yang, “Nanostructured solar glass with enhanced transmission,” MRS-S Trilateral Conference on Advances in Nanoscience: Energy, Water and Healthcare, (IMRE), Singapore, August 11 - 13, 2010. S. Gupta, L. Benaissa, D. Nagalingam, M. Lei, A. Danner, H. Yang, and C. S. Bhatia, “EBIC and SEAM for 3D mapping of solar cells defects,” MRS-S Trilateral Conference on Advances in Nanoscience: Energy, Water and Healthcare, (IMRE), Singapore, August 11 - 13, 2010. Ajeesh M. Sahadevan, Jae S. Son, Hyunsoo Yang, Aaron J. Danner, and Charanjit S. Bhatia, “Substrate bias effect on AlOx based magnetic tunnel junctions grown on Ge buffer layers,” ISAMMA 2010 (2nd International Symposium on Advanced Magnetic Materials and Applications," Sendai, Japan (Sendai International Center), July 12 - 16, 2010. Proceedings: Journal of Physics: Conference Series, vol. 266, 012105, pp. 1 - 5, doi:10.1088/1742-6596/266/1/012105, 2011. A. Kumar, L. K. Verma, H. Yang, A. J. Danner, D. Chi, and C. S. Bhatia, “Semiconducting β-FeSi2 for high-efficiency photovoltaics,” to be presented at 25th EU-PVSEC/WCPEC-5 (25th European Photovoltaic Solar Energy Conference and Exhibition/5th World Conference on Photovoltaic Energy Conversion), IDV.3.72, Valencia, Spain (Feria Valencia), September 6 - 10, 2010. A. Kumar, L. K. Verma, H. Yang, A. J. Danner, D. Chi, and C. S. Bhatia, “Semiconducting β-FeSi2 for low cost and high conversion efficiency photovoltaics,” PVSC-35 (35th IEEE Photovoltaic Specialists Conference), Honolulu, Hawaii, USA (Hawaiian Convention Center in Waikiki, Hawaii), June 20 - 25, 2010. J. Son, K. V. Lalit, A. Danner, C. S. Bhatia, and H. Yang, “Omnidirectional optical transmission by optimized nano-structures of solar cells,” PVSC-35 (35th IEEE Photovoltaic Specialists Conference), Honolulu, Hawaii, USA (Hawaiian Convention Center in Waikiki, Hawaii), June 20 - 25, 2010. U. Leonhardt and A. Danner (invited), “Non-Euclidean transformation optics,” CIMTEC 2010/5th Forum on New Materials, FM-5:IL07, Montecatini Terme, Italy (Vittoria Congressi), June 13 - 18, 2010. J. Son, K. V. Lalit, A. Danner, C. S. Bhatia, and H. Yang, “Optimization of the surface nanostructure for photovoltaic devices,” 4th MRS-S Conference on Advanced Materials, IMRE, Singapore, March 17 - 19, 2010. N. Xiang, K. H. Tung, and A. J. Danner, “Surface plasmon enhanced emission from InGaAs quantum wells by nano-patterned metal dots,” META'10 (2nd International Conference on Metamaterials, Photonic Crystals and Plasmonics), Cairo, Egypt, Feb. 22 - 25, 2010. S. T. Lim, C. E. Png, M. Xin, and A. Danner, “Widely tunable optical nanocavity photonic crystal sensor,” ECIO 2010 (15th European Conference on Integrated Optics, University of Cambridge), EwP02, Cambridge, UK, April 7 - 9, 2010. A. J. Danner and N. Xiang, “Photorealistic depictions of Maxwell's fish eye and other gradient index metamaterials-based objects,” META'10 (2nd International Conference on Metamaterials, Photonic Crystals and Plasmonics), Cairo, Egypt, Feb. 22 - 25, 2010. A. J. Danner, “Photorealistic rendering of metamaterials, gradient index devices, and polarization-dependent invisibility cloaks,” OSA 93rd Annual Meeting: Frontiers in Optics, San Jose, CA, USA, Oct. 11 - 15, 2009. G. Si, A. J. Danner, J. H. Teng, S. S. Ang, and A. B. Chew, “Nanoscale arrays of lithium niobate fabricated by interference lithography and dry etching,” ICMAT 2009, Singapore: Materials Research Society, June 28 - July 3, 2009. M. Xin, A. J. Danner, C. E. Png, and S. T. Lim, “Compact silicon electro-optic modulator based on a cross waveguide resonator,” ICMAT 2009, Singapore: Materials Research Society, June 28 - July 3, 2009. M. Xin, A. J. Danner, C. E. Png, and S. T. Lim, “Cross waveguide resonator-based silicon electro-optic modulator with low power consumption,” Nano Photonics Down Under - Devices and Applications, Melbourne: Swinburne University of Technology, SMONP 2009, June 21 - 24, 2009. A. J. Danner and U. Leonhardt, “Lossless design of an Eaton lens and invisible sphere by transformation optics with no bandwidth limitation,” presented at CLEO (Conference on Lasers and Electro-Optics), Baltimore, MD, USA, May 7 - June 5, 2009. A. J. Danner, “Surface texturing in LEDs,” (invited) Workshop on the Research Frontiers in Solid State Lighting, Singapore: Nanyang Technological University, Dec. 1, 2009. C. E. Png, G. H. Park, S. T. Lim, E. P. Li, A. J. Danner, M. B. Yu, K. Ogawa, and Y. T. Tan, “Electrically controlled silicon photonic crystal-based chromatic dispersion compensator with ultra low power consumption,” presented at CLEO (Conference on Lasers and Electro-Optics), San Jose, CA, USA, May 4 - 9, 2008. M. Xin, A. J. Danner, C. E. Png, and S. T. Lim, “A resonator-based silicon electro-optic modulator with low power consumption and optimized modulation performance,” IEEE Photonics Global, Singapore, Dec. 8 - 11, 2008. G. Si, J. H. Teng, A. J. Danner, E. Dogheche, R. Yin, S. S. Ang, M. Y. Lai, A. Gokarna, A. Stolz, D. Decoster, and S. Y. Tan, “Fabrication and characterization of proton-exchanged waveguide on x-cut LiNbO3,” IEEE Photonics Global, Singapore, Dec. 8 - 11, 2008. G. Si, H. She, J. H. Teng, and A. J. Danner, “Enhanced interaction of plasmonic nanocylinders and other cylindrical structures,” International Symposium on Antennas and Propagation, Taipei: Yuan Ze University and Oriental Institute of Technology, Oct. 27 - 30, 2008. M. Xin, A. J. Danner, and C. E. Png, “Resonator-based silicon electro-optic modulator with ultra-low power consumption,” International Conference on Solid State Devices and Materials, Tsukuba, Japan, Sept. 23 - 26, 2008. A. J. Danner, “Photonic Crystals,” (invited) India-Singapore Symposium on current trends in physics, IIT Madras, Chennai, India, Feb. 8 - March 1, 2008. A. J. Danner, J. J. Raftery, Jr., P. O. Leisher, and K. D. Choquette, “Single mode photonic crystal vertical cavity lasers,” Appl. Phys. Lett., vol. 88, no. 9, pp. 091114 – 091116, 2006. P. O. Leisher, A. J. Danner, J. J. Raftery, Jr., D. Siriani, and K. D. Choquette, “Loss and index guiding in single-mode proton-implanted holey vertical-cavity surface-emitting lasers,” IEEE J. of Quant. Elect., vol. 42, no. 10, pp. 1091 – 1096, 2006. P. O. Leisher, A. J. Danner, and K. D. Choquette, “Single-mode 1.3-mm photonic crystal vertical-cavity surface-emitting laser,” IEEE Photon. Tech. Lett., vol. 18, no. 20, pp. 2156 – 2158, 2006. T. Kim, P. O. Leisher, A. J. Danner, R. Wirth, K. Streubel, and K. D. Choquette, “Photonic crystal structure effect on the enhancement in the external quantum efficiency of a red LED,” IEEE Photon. Tech. Lett., vol. 18, no. 17, pp. 1876 – 1878, 2006. J. J. Raftery, Jr., A. C. Lehman, A. J. Danner, P. O. Leisher, A. V. Giannopoulos, and K. D. Choquette, “In-phase evanescent coupling of two-dimensional arrays of defect cavities in photonic crystal vertical cavity surface emitting lasers,” Appl. Phys. Lett., vol. 89, no. 8, pp. 081119 – 081121, 2006. A. C. Lehman, J. J. Raftery, Jr., A. J. Danner, P. O. Leisher, and K. D. Choquette, “Relative phase tuning of coupled defects in photonic crystal vertical cavity surface emitting lasers,” Appl. Phys. Lett., vol. 88, no. 2, pp. 021102 – 021103, 2006. Y. K. Kim, A. J. Danner, J. J. Raftery, Jr., and K. D. Choquette, “Focused ion beam nanopatterning for optoelectronic device fabrication,” IEEE J. of Sel. Topics in Quant. Elect., vol. 11, no. 6, pp. 1292 – 1298, 2005. J. J. Raftery, Jr., A. C. Lehman, A. J. Danner, P. O. Leisher, A. V. Giannopoulos, and K. D. Choquette, "Coherent transverse coupling in photonic crystal vertical cavity laser arrays," C. Lei and K. D. Choquette; Editors, Proc. SPIE, vol. 6132, Vertical-Cavity Surface-Emitting Lasers X, 61320I (8 pages), 2006. J. J. Raftery, Jr., A. J. Danner, J. C. Lee, and K. D. Choquette, “Coherent coupling of two-dimensional arrays of defect cavities in photonic crystal vertical cavity surface-emitting lasers,” Appl. Phys. Lett., vol. 86, no. 20, pp. 201104-1 – 201104-3, 2005. T. S. Kim, A. J. Danner, and K. D. Choquette, “Enhancement in the external quantum efficiency of a blue light-emitting diode by a photonic crystal surface grating,” Electronics Letters, vol. 41, no. 20, pp. 1138 – 1139, 2005. P. O. Leisher, A. J. Danner, J. J. Raftery, Jr., and K. D. Choquette, “Proton implanted single mode holey vertical-cavity surface emitting lasers,” Electronics Letters, vol. 41, no. 18, pp. 1010 – 1011, 2005. A. J. Danner, T. S. Kim, and K. D. Choquette, “Single fundamental mode photonic crystal vertical cavity laser with improved output power,” Electronics Letters, vol. 41, no. 6, pp. 325 – 326, 2005. A. J. Danner, J. J. Raftery, Jr., N. Yokouchi, and K. D. Choquette, “Transverse modes of photonic crystal vertical-cavity lasers,” Appl. Phys. Lett., vol. 84, no. 7, pp. 1031-1033, 2004. T. S. Kim, A. J. Danner, D. M. Grasso, E. W. Young, and K. D. Choquette, “Single fundamental mode photonic crystal vertical cavity surface emitting laser with 9 GHz bandwidth,” Electronics Letters, vol. 40, no. 21, pp. 1340 - 1341, 2004. A. J. Danner, J. C. Lee, J. J. Raftery, Jr., and K. D. Choquette, “Photonic crystal vertical cavity lasers,” C. Lei, K. D. Choquette and S. P. Kilcoyne; Editors, Proc. SPIE, vol. 5364, Vertical-Cavity Surface-Emitting Lasers VIII, pp. 92 - 96, 2004. N. Yokouchi, A. J. Danner, and K. D. Choquette, “Two-dimensional photonic crystal confined vertical cavity surface emitting lasers,” J. of Sel. Topics in Quant. Elect., vol. 9, no. 5, 1439-1445, 2003. N. Yokouchi, A. J. Danner, and K. D. Choquette, “Vertical-cavity surface-emitting laser operating with photonic crystal seven-point defect structure,” Appl. Phys. Lett., vol. 82, no. 21, pp. 3608-3610, 2003. A. J. Danner, J. C. Lee, J. J. Raftery, Jr., N. Yokouchi, and K. D. Choquette, “Coupled-defect photonic crystal vertical cavity surface emitting lasers,” Electronics Letters, vol. 39, no. 18, pp. 1323 - 1324, 2003. N. Yokouchi, A. J. Danner, and K. D. Choquette, “Lateral mode control of vertical-cavity surface-emitting lasers using two-dimensional photonic crystal structure,” C. Lei, S. P. Kilcoyne; Editors, Proc. SPIE, vol. 4994, Vertical-Cavity Surface-Emitting Lasers VII, pp. 216 – 221, 2003. N. Yokouchi, A. J. Danner, and K. D. Choquette, “Etching depth dependence of the effective refractive index in 2-dimensional photonic crystal patterned vertical-cavity surface-emitting laser structure,” Appl. Phys. Lett., vol. 82, no. 9, pp. 1344-1346, 2003. A. Danner and F. Sonnemann, “Review of quench simulations for the protection of LHC main dipole magnets,” CERN publication LHC-ICP-00-199, European Organization for Nuclear Research, October, 1999. A. J. Danner, J. K. Hwang, M. M. Sigalas, H. W. Wan, B. Z. Wang, and S. J. Chua, “Efficient light-emitting diodes fabricated with a spin-on photonic crystal surface grating,” presented at CLEO (Conference on Lasers and Electro-Optics), Long Beach, CA, USA, 2006. J. J. Raftery, Jr., A. J. Danner, A. C. Lehman, P. O. Leisher, A. V. Giannopoulos, K. D. Choquette, “A parametric study of coherent coupling in photonic crystal VCSELs with 2x1 arrangements of defect cavities,” presented at CLEO (Conference on Lasers and Electro-Optics), Long Beach, CA, USA, 2006. P. O. Leisher, D. F. Siriani, J. J. Raftery, Jr., A. J. Danner, and K. D. Choquette, “Loss and index guiding in single-mode holey vertical-cavity surface-emitting lasers,” presented at CLEO (Conference on Lasers and Electro-Optics), Long Beach, CA, USA, 2006. J. J. Raftery, Jr., A. C. Lehman, A. J. Danner, P. O. Leisher, A. V. Giannopoulos, and K. D. Choquette, "Coherent transverse coupling in photonic crystal vertical cavity laser arrays," presented at Photonics West, San Jose, CA, USA, Jan. 2005. J. J. Raftery, Jr., A. J. Danner, A. V. Giannopoulos, E. C. Shyu, and K. D. Choquette, “In-phase coherently coupled 2D arrays of defect cavities within a photonic crystal VCSEL” (invited), CLEO (Conference on Lasers and Electro-Optics), CThW5, Baltimore, MD, USA, 2005. K. D. Choquette, A. J. Danner, J. J.. Raftery, Jr., and P. O. Leisher, “Photonic crystal vertical cavity lasers and arrays,” (invited) 5th IEEE Conference on Nanotechnology, Proceedings, pp. 27 - 28, Nagoya, Japan, July 2005. K. D. Choquette, A. J. Danner, J. J.. Raftery, Jr., and P. O. Leisher, “Photonic crystal confined vertical cavity lasers and arrays,” (invited) Integrated Photonics Research and Applications, ItuG2, San Diego, CA, USA, April 2005. K. D. Choquette, A. J. Danner, J. J.. Raftery, Jr., and P. O. Leisher, “Photonic Crystal Vertical Cavity Lasers,” (invited) CLEO-PR (Conference on Lasers and Electro-Optics-Pacific Rim), CTuJ3-7-INV, Tokyo, Japan, July 2005. P. O. Leisher, A. J. Danner, J. J. Raftery, Jr., and K. D. Choquette, “Proton implanted single mode holey vertical-cavity surface-emitting lasers,” IEEE/LEOS (Lasers and Electro-Optics Society) 18th Annual Meeting, WC2, Sydney, Australia, 2005. K. D. Choquette, J. J. Raftery, Jr., A. J. Danner, and P. O. Leisher, “Coherently Coupled Photonic Crystal Vertical Cavity Lasers for Communication Applications,” IEEE Aerospace Conference, Big Sky, MT, USA March 2005. A. J. Danner, J. J. Raftery, Jr., P. O. Leisher, E. A. Yamaoka, S. R. Lala, M. L. Hwang, and K. D. Choquette, “Loss and the accuracy of the photonic crystal model in holey VCSELs,” CLEO (Conference on Lasers and Electro-Optics), CThW2, Baltimore, MD, USA, 2005. T. S. Kim, A. J. Danner (presenter), and K. D. Choquette, “Photonic Crystal GaN Light Emitting Diode,” CLEO (Conference on Lasers and Electro-Optics), CMR3, Baltimore, MD, USA, 2005. A. J. Danner, T. S. Kim, D. M. Grasso, E. Y. Young, and K. D. Choquette, “Small signal modulation of a single mode photonic crystal vertical cavity surface-emitting laser,” 19th International Semiconductor Laser Conference, Conference Digest, pp. 125 - 126, Matsue, Japan, Sept. 2004. A. J. Danner, “ホーリーVCSELの発振特性 (Lasing characteristics of photonic crystal vertical cavity lasers),” International Symposium on Optical Communications, Hakone, Japan, 2004. A. J. Danner, T. S. Kim, J. J. Raftery, Jr., and K. D. Choquette, “Optimization of photonic crystal vertical cavity lasers,” 9th Optoelectronics and Communications Conference (OECC), Yokohama, Japan, July 2004. K. D. Choquette, A. J. Danner, J. J. Raftery, Jr., and J. C. Lee, “Vertical cavity photonic crystal coupled-defect lasers for optical interconnects,” IEEE Aerospace Conference, Proceedings, vol. 3, pp. 1770 - 1775, Big Sky, MT, USA 2004. A. Danner, J. Raftery, P. Leisher, and K. D. Choquette, “Scaling characteristics of photonic crystal vertical-cavity lasers,” IEEE/LEOS (Lasers and Electro-Optics Society) 17th Annual Meeting, TuC4, Puerto Rico, 2004. A. J. Danner, J. J. Raftery, Jr., and K. D. Choquette, “High single mode power in photonic crystal vertical cavity lasers,” CLEO (Conference on Lasers and Electro-Optics), CTuP, San Francisco, CA, USA 2004. J. J. Raftery, Jr., A. J. Danner, J. C. Lee, and K. D. Choquette, “2-dimensional coherent arrays of photonic crystal vertical cavity defect lasers,” CLEO (Conference on Lasers and Electro-Optics), CTuR, San Francisco, CA, USA 2004. K. D. Choquette, A. J. Danner, J. C. Lee, and J. J. Raftery, Jr., “Photonic crystal vertical cavity lasers,” Photonics West, 5364-11, San Jose, CA, USA, Jan. 2004. K. D. Choquette, A. J. Danner, J. C. Lee, and J. J. Raftery, “Vertical cavity photonic crystal coupled-defect lasers”, International Symposium on Microelectronics, MEMS, and Nanotechnology Conference, 5277-22, Perth, Australia, Dec. 2003. A. J. Danner, J. C. Lee, J. J. Raftery, Jr., N. Yokouchi, and K. D. Choquette, “Coherently coupled photonic crystal VCSELs,” LEOS 16th Annual Meeting, WL3, Tucson, AZ, USA, 2003. A. J. Danner, N. Yokouchi, J. J. Raftery, Jr., and K. D. Choquette, “Focused ion beam post-processing for single mode photonic crystal vertical cavity surface-emitting lasers,” Device Research Conference, V.B-6, Salt Lake City, UT, USA, 2003. A. J. Danner, J. J. Raftery, Jr., U. Krishnamachari, J.C. Lee, N. Yokouchi, and K. D. Choquette, “Scaling of small-aperture photonic crystal vertical cavity lasers,” CLEO Postdeadline session (Conference on Lasers and Electro-Optics), CThPDC9, Baltimore, MD, USA 2003. A. J. Danner, N. Yokouchi, and K. D. Choquette, “Single mode photonic crystal vertical cavity lasers incorporating etch depth dependence,” CLEO (Conference on Lasers and Electro-Optics), CThP3, Baltimore, MD, USA 2003. N. Yokouchi, A. J. Danner, and K. D. Choquette, “Lateral mode control of vertical-cavity surface-emitting lasers using two-dimensional photonic crystal structure,” Photonics West, 4994-32, San Jose, CA, USA, Jan. 2003. N. Yokouchi, A. Danner, and K. D. Choquette, "Vertical cavity surface emitting lasers laterally confined by 2-dimensional photonic crystals," IEEE/LEOS Summer Topical Meetings, TuP2, Mont Tremblant, Quebec, Canada, 2002. K. D. Choquette and A. J. Danner, “Vertical cavity photonic integrated circuits,” International Semiconductor Device Research Symposium (ISDRS), Washington, D.C., USA, 2001.